LAPD Detective Ren e Ballard teams up with Harry Bosch in the new work of fiction from #1 NYT bestselling author Michael Connelly. Ren e Ballard is working the night beat again, and returns to Hollywood Station in the early hours only to find a stranger rifling through old file c... read full description below. 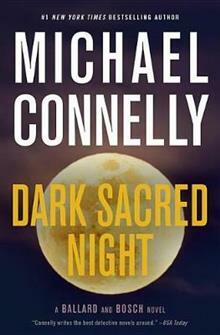 LAPD Detective Ren e Ballard teams up with Harry Bosch in the new work of fiction from #1 NYT bestselling author Michael Connelly. Ren e Ballard is working the night beat again, and returns to Hollywood Station in the early hours only to find a stranger rifling through old file cabinets. The intruder is retired detective Harry Bosch, working a cold case that has gotten under his skin. Ballard kicks him out, but then checks into the case herself and it brings a deep tug of empathy and anger. Bosch is investigating the death of fifteen-year-old Daisy Clayton, a runaway on the streets of Hollywood who was brutally murdered and her body left in a dumpster like so much trash. Now, Ballard joins forces with Bosch to find out what happened to Daisy and finally bring her killer to justice.